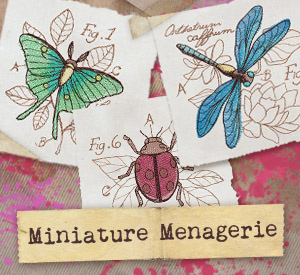 Showcase the vibrant Miniature Menagerie machine embroidery designs from Urban Threads in this beautiful bug-collection quilt! Butterflies, moths, dragonflies, and more enchanting insects are framed and complemented by colorful patchwork blocks. 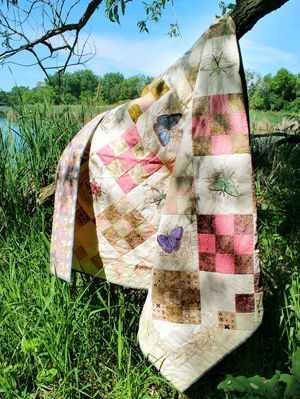 This pretty, all-natural quilt is a delight to stitch, and to display. Perfect for a picnic in the great outdoors, or just a splash of summery home decor! 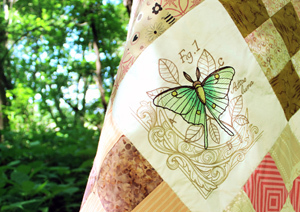 This free PDF will show you an easy to follow pattern to recreate this beautiful quilt. Fabric sizes, block patterns, and simple instructions are all included. 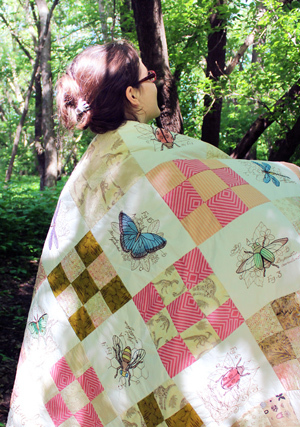 Of course, quilts are just more fun with embroidery, especially with creative layering! 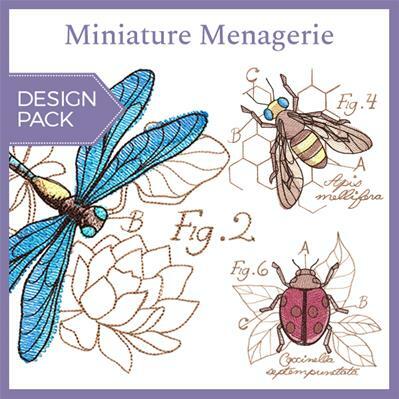 Bring your designs to life by combining designs from the Miniature Menagerie pack. This luna moth is accented with the elegant crescent corner stitched behind it to really frame the design. 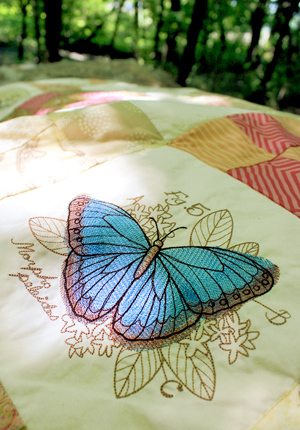 Artist Caitlin was the mastermind behind this beautiful pattern, and she stitched up the quilt herself. 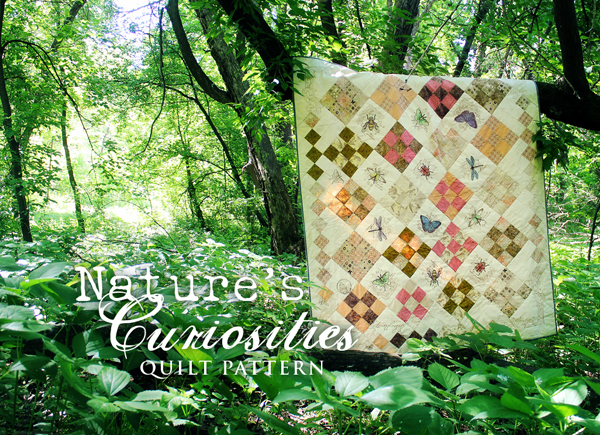 It’s the perfect quilt to celebrate warm summer days and yummy picnics under the sun. Light-stitching designs and bold pops of color really bring this piece to life, but of course this quilt pattern can be used to create any kind of quilt. If entomology isn’t your up of tea, you can pick and choose your favorites to embellish your pattern. Stitching this summer quilt up is a fun project to celebrate warm days and beautiful embroidery. Ready to create one of your own? Click the button below to download your complete instructions and get crafting!